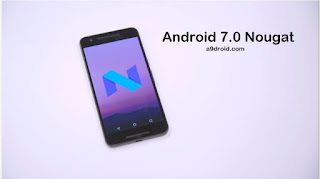 Home / Andriod (ALL) / Tech / Android 7.0 Nougat Out: What You Should Know. Android 7.0 Nougat Out: What You Should Know. As expected , Google released Android 7.0 Nougat yesterday, August 22. The company has just put up the official Nougat page, which contains a rundown of the main user facing features. From what we can see so far, it looks like the stable release going out today is very similar to Developer Preview 5 (covered further below). Here’s a brief rundown of the main official Nougat features, as per Google – stay tuned for our in-depth look coming soon. New JIT compiler for faster updates, VR mode, and Vulkan API support. Doze on the go for better battery management and new data saver for restricting data usage for background apps. Split-screen mode, picture-in-picture, and double tap to quickly switch. Bundled notifications, direct reply, and notification controls. Customizable quick settings, redesigned quick settings bar, redesigned Settings, emergency information, and lockscreen wallpaper. New direct boot, seamless software updates (for new devices), file-based encryption, and scoped folder access. More settings are no covered by Android Backup. Multiple locales support, new languages, and new language preferences. Accessibility settings are now part of the setup, customizable display size, accessibility mono output, and variable text to speech speed. New work mode lets you turn off notifications from work apps. Google will be pushing the OTA to Nexus devices over the air, so keep an eye out for an update notification in your status bar. If you want to check manually, just go to Settings > About Phone > System updates > Check for updates.